Owning a gun is a very big responsibility. After all, guns are very powerful weapons that can do a lot of damage if misused or if they fall into the wrong hands. There is no worse situation you can be in than when your improperly stored gun falls into the hands of a burglar. And that is why you need to take gun safety seriously. It should be a priority once you decide to own a gun, and not as an afterthought. 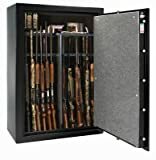 That is why I would like us to look at a few gun safe reviews so that you can beef up your gun safety with a proper and secure safe for your gun. But before we get into the gun safe reviews, let’s look at a few features of a good gun safe. As you well know (at least I hope you do, not all gun safes are made the same, and hence the differences in price. For you to get the best gun safe that will suit your needs and budget, here are 5 features you should consider in a gun safe. The locking system is one of the most important factors in a gun safe. The type of locking mechanism on your safe will determine how fast you can access your safe and how much it can deter unauthorized access. 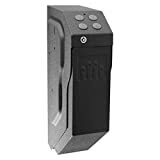 You will find that gun safes come with a number of different locking mechanisms such as a dial lock, electronic lock, biometric lock, or even a key lock among many others. All these have their merits and disadvantages when it comes to securing your safe and how easily you can access it. The type of locking mechanism you opt for is all up to which you feel will suit you best. Another important factor you need to consider before you purchase a gun safe is the size. Of course, this is determined by how many guns, and the types of guns you have and how many you want to store in the safe. Even if you only have one gun at the moment, there are strong possibilities that you may add to your collection in the future, so keep this in mind when you are considering the size of the safe you want to buy. No matter the size of your safe, you want one that is well constructed and securely built. If you want a secure gun safe, steel is probably a material of choice as it is very difficult to damage or destroy. As for the locking mechanism, you will have to consider the types and number of bolts you will have in your safe. Of course, more bolts equals more security but it also raises the price of the safe. Another thing to note when looking at the construction of a safe is the thickness of the door and walls and where you will place it in your house. The weight of a gun safe is important if you want to deter thieves from running off with you safe and its valuable contents. Obviously, the bigger the safe the heavier it is, especially if it is built from high-quality materials. 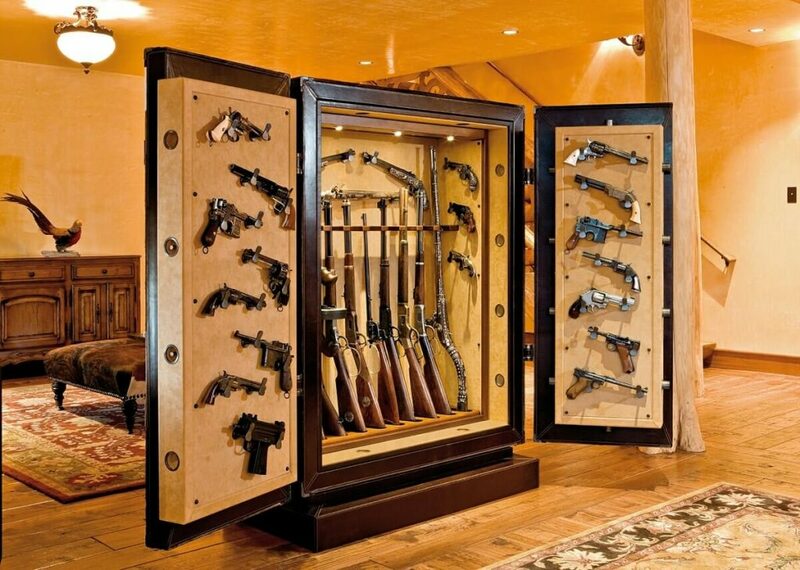 But if your gun safe is a one gun safe that automatically means it is very small in size. But you can counter that by securing it to something or mounting it onto a wall. A gun safe is not just meant to protect your gun from unauthorized users, it also has to keep your gun safe from disasters such as fire. As such, you will have to invest in a gun safe that has a good fire rating (can withstand intense heat for a considerable amount of time). Remember, a gun is an investment, and like every other investment, its security should go beyond just theft. Now that you know the features to look for in a good gun safe, let’s take a look at some gun safe reviews to help you narrow down your search for a good gun safe. It’s that exciting time you have been waiting for - the gun safe reviews I promised. Here are 7 top picks that I believe will lead you to your ultimate purchase. 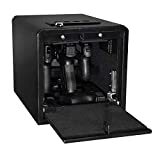 If you are looking for a single gun storage gun safe with an easy access electronic lock, the Gunvault Speedvault SV500 gun safe is one you should consider looking into. What makes this gun safe really cool is the fact that it has a drop-down drawer that makes it quick and easy for you to draw and fire. It’s also very convenient as it can be mounted anywhere, including in your car. The Speed vault SV500 is a solidly built gun safe that comes with a 5-year burglary and fire warranty to back up its reliability. With the starting price, gun security has never been more affordable. 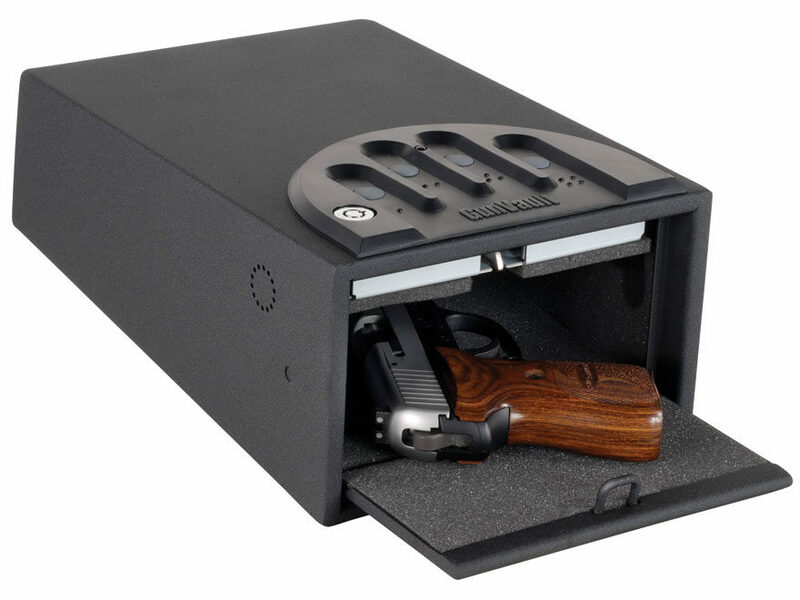 The Fort Knox FTK-PN handgun safe is another small gun safe that will help you keep your gun safe in your home (or car). It is a combination lock quick access pistol safe that has 1081 combinations, making it difficult for anyone to crack your code and gain access to your gun. Because it is small and portable, it is advisable to bolt it to a solid surface or securely mount it to a wall. The Fort Knox FTK-PN features spring assisted hinges to assist in the door opening faster. Coming with a lifetime warranty, the Fort Knox FTK –PN really measures up to its name as an unbreachable fortress. For security you can trust, you will be set back $249.00, a small price to pay for top class gun security. The Stealth handgun hanger safe is a high-quality gun safe that can hold up to 5 pistols. 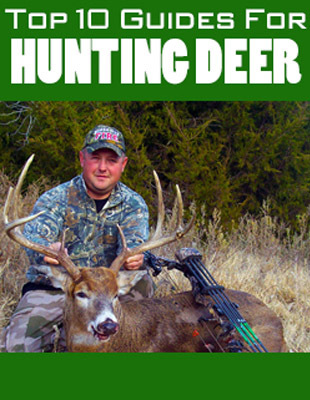 Of the 5, 3 are in easy to grab positions on hangers for those times you need to reach your gun quickly. The other 2 sit on their sides on the safe’s floor. Stealth did a great job with this one as it is well built. It features a red interior light that is bright enough to allow you to see but dim enough not be seen by other people, even if they are in the same room. 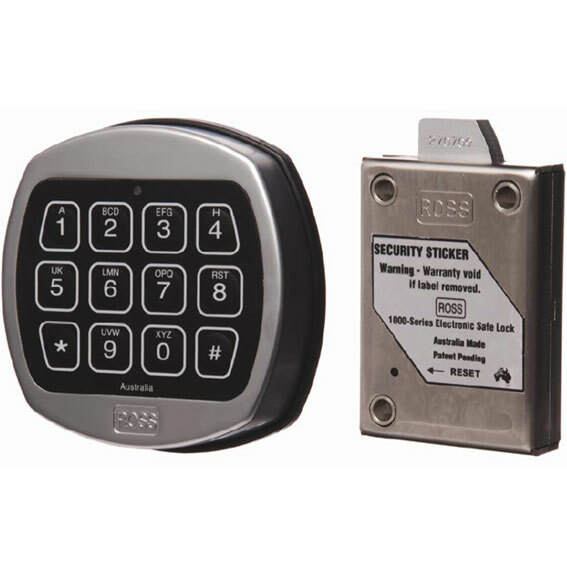 The safe utilizes an electronic lock that uses a 6-digit security code. 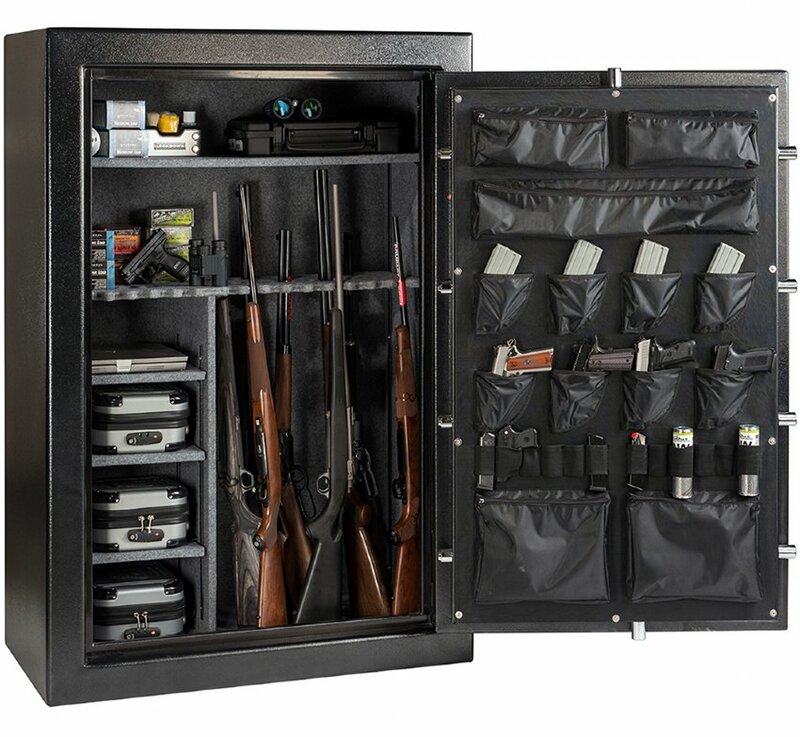 The entire safe is lined with soft material to keep your guns from scratches. When it comes to portable biometric safes, the Vaultek VT20i Biometric Pistol safe is one of your safest bets. Made of 16 gauge steel and coming with a powder coat finish for corrosion prevention, the Vaultek VT20i is not only secure and durable, it’s also a beauty to look at. One of the coolest features of this safe is not just its fingerprint recognition system (that can store up to 20 fingerprints), but the fact that it is also smart. Yes, you can interact with the safe using your smartphone, amazing right? But the Vaultek VT20i’s smarts don’t just end there. This safe is so advanced it comes with multiple quick access options such as the keypad, Bluetooth using your phone, a key, and of course, your fingerprint. The Vaultek VT20i is a sturdy gun safe that you can take with you anywhere or just keep by your bedside in case of emergency. It is well built, has an interior light for night use, and has enough space to store 2 handguns and some ammunition. 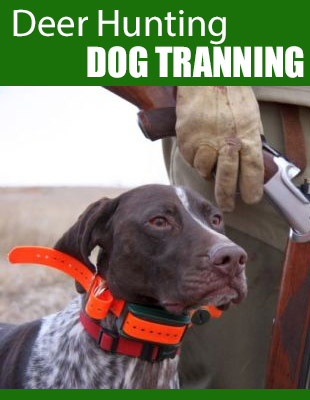 For advanced safe gun keeping, you’ll only have to part with $249.00. The Stack-On A-40-MB-E-S Armorguard 40-Gun Safe is one of the best gun safes for you to invest in if you have a large collection of guns. It is big enough to store up to 40 guns on its 1 full shelf and 3 half shelves. This safe features a sleek and a stylish black design, has an electronic locking system, and has a very good fire rating - it is fire resistant for 30 minutes up to 1400 degrees Fahrenheit. The lock is electronic with the ability to store 3-8 digit combinations and the safe has a backup key in case of power failure. 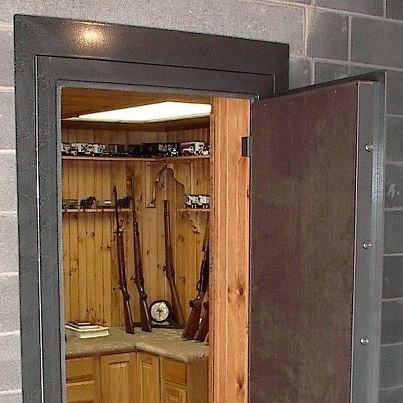 For greater convenience, the safe has a door that can hold pistols, ammunition, and anything else you can fit in. the barrel rests are also carpeted to keep your gun from being scratched as you store or take them out. This is a large capacity gun safe and is more suited for you if you own a lot of guns or intend on doing so. 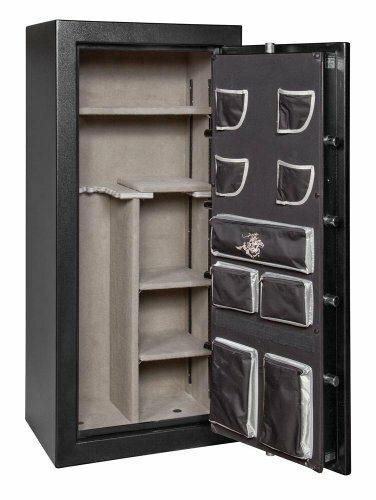 This 450 lb fortress will safely store your guns (and other property) for $819.00. now, that’s value for money. The Fat Boy Junior-48 gun safe is probably one of the best multiple storage gun safes on the market right now. Featuring an 11 gauge steel construction, an electronic lock and triple case hardened steel plates to protect the lock from drill attack, and a bolt system that boasts of 12 bolts, this is probably the real definition of safe. This is truly a heavy duty safe that can hold 48 guns and has an excellent fire rating that allows it to survive a 1200 degrees Fahrenheit fire for an impressive 60 minutes. Weighing a massive 760 lbs, no one will even dare try and move this safe out of your home. But heavy security comes at a price, and for the Fat Boy-48, that price is $1920.15. For securing the precious cargo it carries so well, I’d say that’s a fair price. Ok, so the Fat Boy comes with a hefty price tag that may make it as immovable as the safe itself. If you are looking for a gun safe with a leaner price tag, consider the Barska Quick Access Biometric Rifle Safe AX11652. 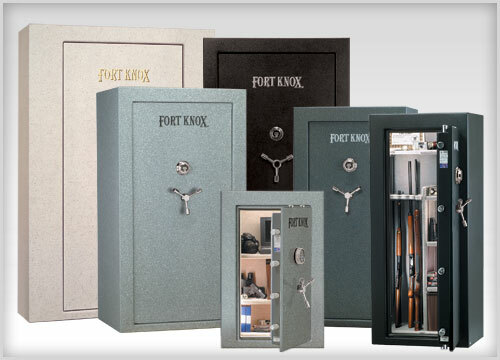 It is one of the best and most affordable gun safes that you can find on the market. But don’t let the low price fool you into thinking it’s a flimsy gun safe, on the contrary. This safe has many features and functions that you will definitely find useful. For one, the fingerprint scanner is able to store a massive 120 different fingerprints. Of course, you won’t give 120 people access to your guns, but that memory comes in handy as it is sometimes advisable to store fingerprints multiple times to give the system a better chance of quickly identifying you and improving its accuracy. Speaking of storage, the Barska is able to store 4 rifles, a few handguns, and some ammo. 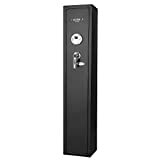 The safe is made from 2mm steel and features 3 solid steel deadbolts, and comes with backup keys and batteries. Although it weighs a mere 65lbs, the safe is truly safe, especially if you mount it your wall. As for price, you can get the Barska Quick Access Biometric Rifle Safe for only $249.99. With gun safety being of paramount importance, it is important that these gun safe reviews don’t just end as reviews. You need to take the next step and purchase one. Every second you put off making a decision is an added second of danger. 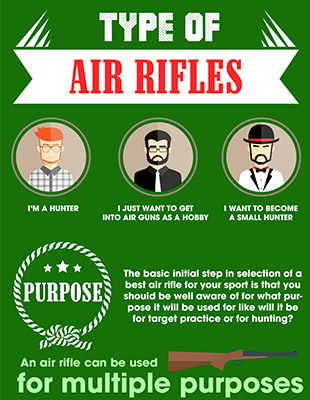 Why Is Gun Safety Important?